“Peak week” for fall color has arrived in our neck of the woods, between Black Mountain and Old Fort, NC (2,300 feet in elevation). 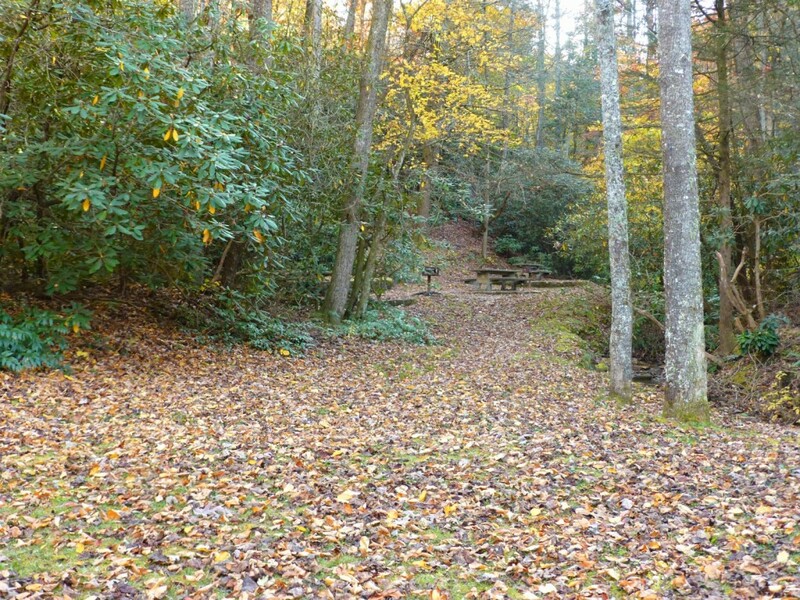 The Inn on Mill Creek B&B is situated two miles inside Pisgah National Forest, and with so many different tree types, we are seeing large bursts of varying color all around! 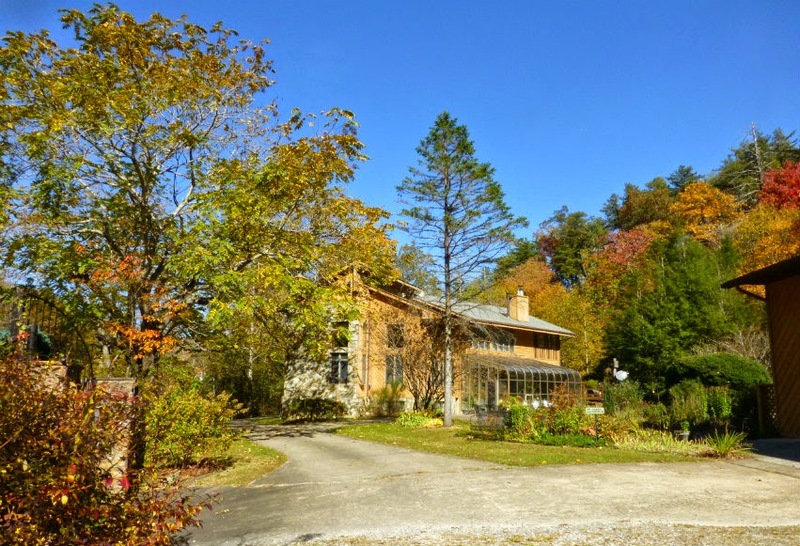 We have a wide variety of oak trees (scarlet oaks being our favorite), especially on Horse Ridge behind our apple orchard at the Inn, and many are now joining the fall color show. Sugar and red maples are at peak along with birch and beech trees, plus sourwood trees continue to hold their scarlet and orange hues, so the mostly yellow landscape is quickly shifting to bronze, orange and red. Most of the elevations along the Blue Ridge Parkway above 3,500 feet are past peak, so if you plan a trip to Mt. Mitchell, Craggy Gardens, Grandfather Mountain, Mt. Pisgah or Graveyard Fields, the hiking is still great, but the colors have faded. It is nice to see the structure of the mountains, however, and to see those long range views without foliage in the way. Don’t forget to wear layers if hiking at high elevations…temperatures can be as low as the 30s and you might even see snow above 3,500 feet once we get into November! 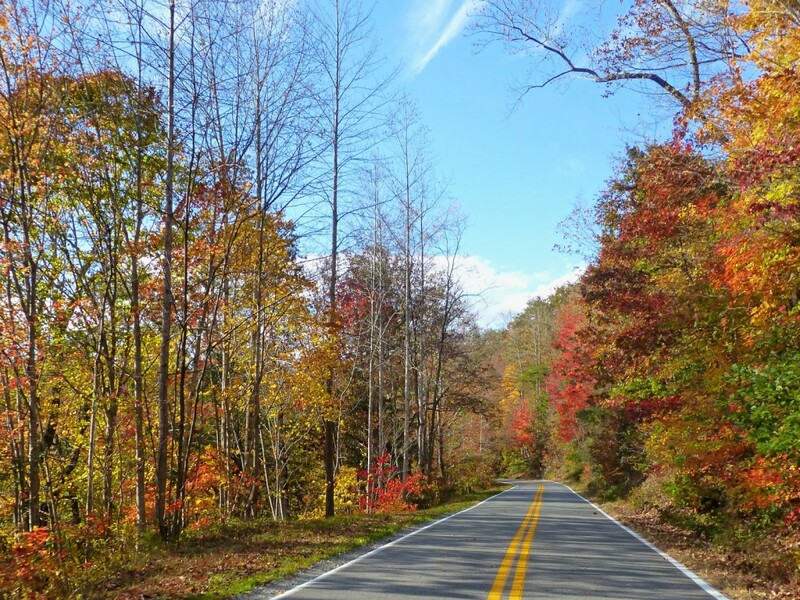 Also take note that portions and places along the Blue Ridge Parkway may start closing starting November 1, depending on the weather. “Leaf crunching” season as we like to say! 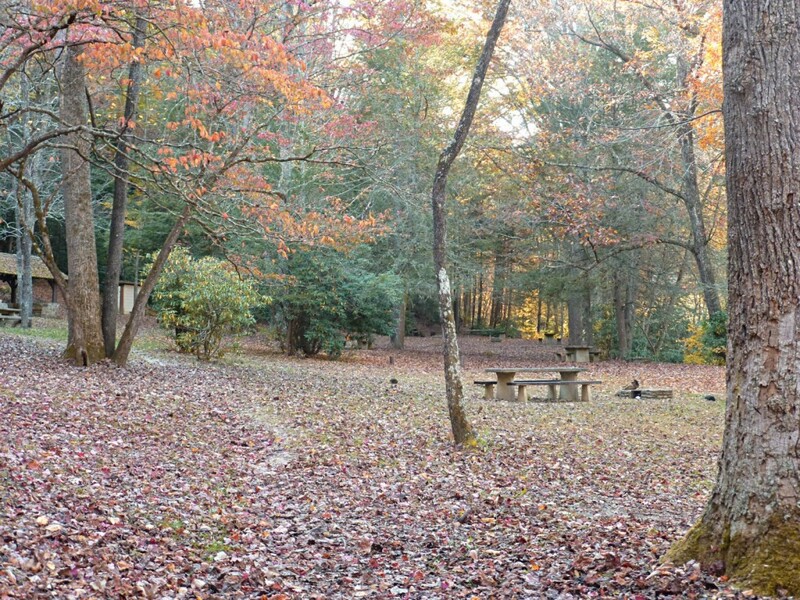 Facing the Old Fort Picnic Grounds on Mill Creek Road, you can turn right, go 1/10 mile and park near the Old Fort end of the Point Lookout Trail, a 3.5-mile paved greenway that is ablaze in color this time of year. The trail is easy for walkers and more moderate for bicyclists, with about 700 feet in elevation gain from the bottom to the top at Ridgecrest. 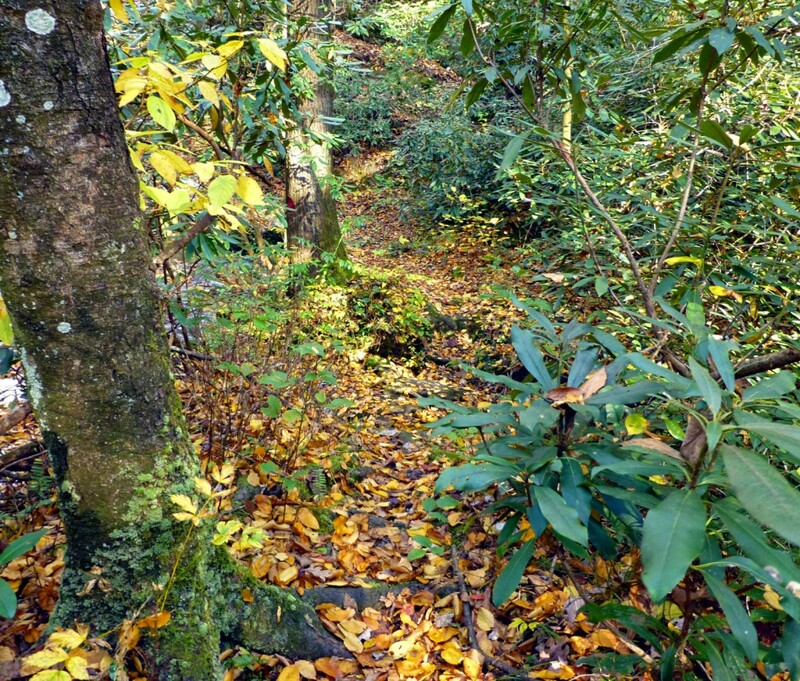 We also recommend the 434-acre North Carolina Arboretum southwest of Asheville, which has 10 miles of beautiful forested hiking and biking trails through the Bent Creek area near Asheville. To get to the Arboretum from the Inn via the “scenic route”, take Hwy 70/State Street west through charming Black Mountain and Swannanoa. You can then get on the Blue Ridge Parkway and travel the Parkway south a short distance around south Asheville from Milepost 382 at the Folk Art Center to Milepost 393. This stretch of the Parkway is in full color. The Arboretum does have a nominal entry fee. The WNC Nature Center is also a neat place to visit, located on the east side of Asheville, about 20 minutes from the Inn on Mill Creek B&B. 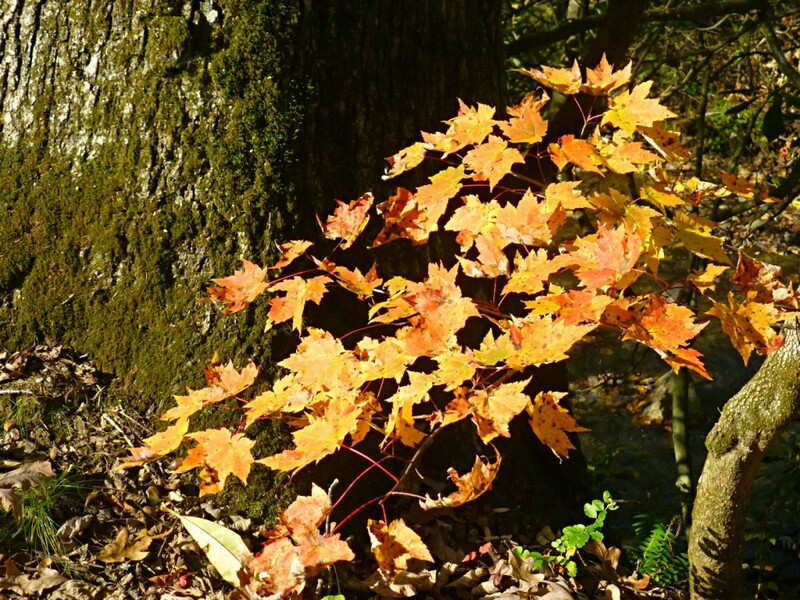 You’ll have the chance to check out the wildlife at the Nature Center and see beautiful fall foliage, too. We will be doing at least one, if not two more fall color reports since it does look like the color will be sticking around a little while in our neck of the woods and heading south toward places like Chimney State Park. And don’t forget, when the leaves start falling, beautiful color can be found by looking down instead of up! 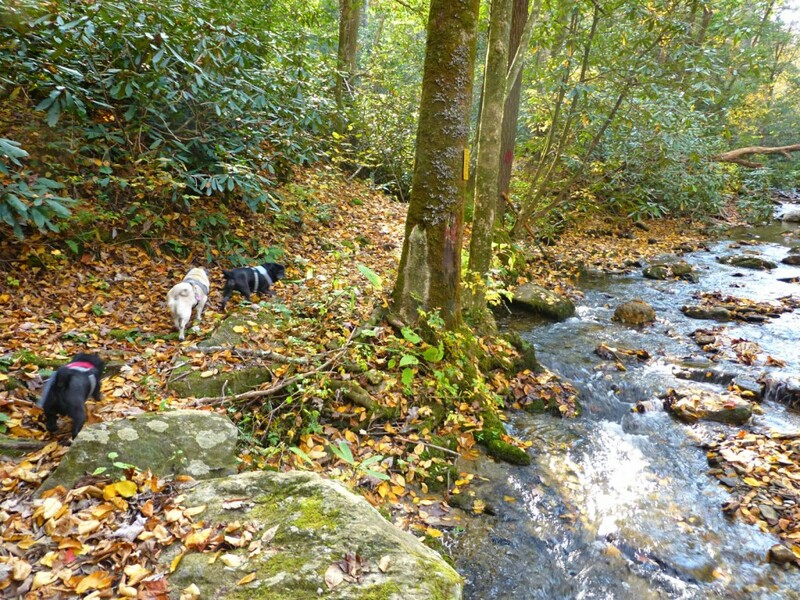 This entry was posted in Uncategorized and tagged Asheville, Autumn / fall foliage, hiking, Old Fort / Andrews Geyser, outdoors by Inn on Mill Creek. Bookmark the permalink.